Welcome! The unique book, Return to Glory: The Powerful Stirring of the Black Race, has been endorsed by the likes of Bill Cosby and Julius Erving to Ben Carson, Tony Campolo, Tony Evans, Donald Cole, Joe Frazier and many others. Authors Don Griffin (senior human resources executive and counselor) and Joel Freeman (veteran chaplain of the NBA Washington Wizards for 19 years, '79-'98, corporate trainer and professional speaker) co-wrote the book and also co-developed the script of the film version. Created by RTG Pictures, the film is available (order online). Don and Joel are continuing to raise the funds necessary to distribute the film, which visually brings to life the message of this gripping book. Contact them with your creative fund raising ideas. The goal is to donate a special "not-for-resale" edition of the DVD version of the film (with over 2 hours of uncut interviews, music videos from DC Talk, Lil' iROCC, NAS, short films, Photo Galleries and more) to every juvenile detention center, prison and school (Middle, Junior High, Senior High, College, University) in America. This ambitious project includes plans to distribute the French, Portuguese and Spanish versions (special "not-for-resale" DVD edition) of the film throughout the continent of Africa, parts of Europe, parts of South America and the Caribbean. This is an ongoing, ever-expanding project. <-- To view more about the present/future plans for the Return To Glory® message, click on the second button from the top (present / future. 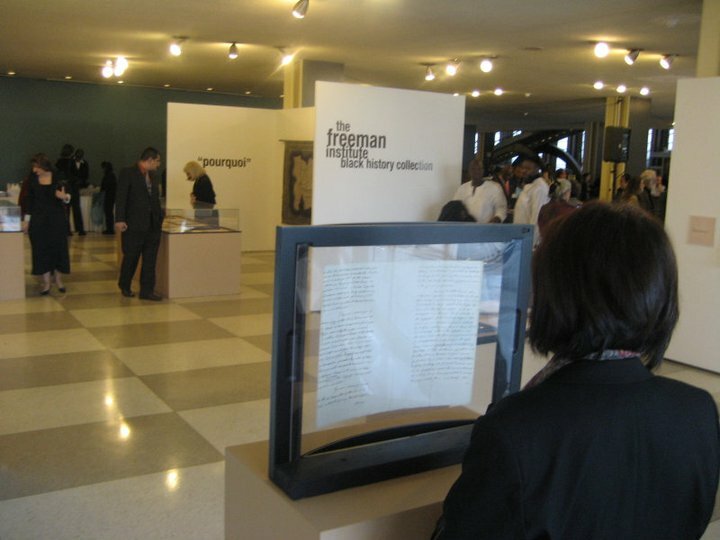 The Freeman Institute Foundation is very much involved in developing the ever-expanding list of projects. were showcased at the UN "Transatlantic Slave Trade" exhibition. 1. Capturing Hearts and Minds through the inspiration received from and knowledge contained in Return To Glory resources. A combined strategic focus on this step, will allow RTG to be even more deliberate in achieving its goal of changing the distorted image of Black people by starting from ancient beginnings instead of the traditional starting points of slavery, colonization, Jim Crow, or apartheid. 2. 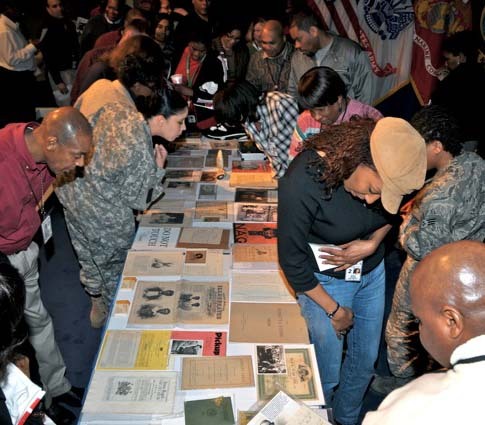 Proving the Point with a Black History Collection of genuine documents and artifacts. Verification of the history will be established through collections and exhibitions of genuine historical documents and artifacts from the respective nation in which RTG has a presence. 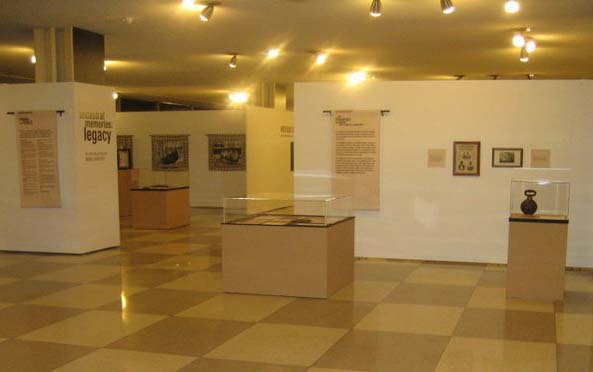 Pieces from the collection have already been showcased at many exhibitions, including the White House Communications Agency, the United Nations, FBI, US Department of Justice and many other venues. Click to read the Black History Gallery project's executive summary. 3. Affecting Change and Future Life Goals is realized through partnerships with national and local community-based service organizations whose purpose is to impact behavior and alter life outcomes. The Freeman Institute® Foundation will provide tools to help these organizations as they assist their constituents in achieving their true potential, regardless of race, class, ethnicity, gender, generation or religion. Any ideas? email (cell: 410-991-9718) The Black History Gallery overview. Under the umbrella of Rosetta Classic®, LLC. and The Freeman Institute® Foundation, Dr. Freeman has developed full-size, 3-D museum-quality replicas of the famous Rosetta Stone. Click on the link or photograph to learn more about the historical significance and the technology utilized to fabricate these masterpieces. To our knowledge, this is the world's first and only such replica available to the general public. Ever the educational entrepreneur, Dr. Joel Freeman has developed (with a lot of help) eight uniquely handcrafted innovations of these reproductions, including a stunning full-size, 3-D replica, a "lost wax" fine art bronze, etc. A 3-D digital holographic image is in the works. Dr. Freeman officially launched the Rosetta Stone replica project at the Library of Congress (DC) with his popular presentation, "The Mysterious Rosetta Stone." These life-size Rosetta Stone facsimiles (45" tall x 30" wide x 11" thick, 95 lbs) will be exhibited in each above-mentioned Black History gallery. Kick off your shoes and grab a cup of coffee. Take your time. We have a lot of information here to share with you. Bookmark this site and keep revisiting. Dr. Freeman and Producer/Director Steve Alston traveled to West Africa to collaborate on a 2nd project tentatively titled African Kings: A Journey Into the Past, Present and Future of African Kingdoms. Freeman and Alston were given unprecedented access to many African Kings from around the continent. The footage from the interviews with these Kings that can only be seen in this upcoming documentary. This film will combine tribal dances and stunning photography while addressing the past, present and future perspectives of the African Kingdoms. This film project serves as a sister project to the "Return to Glory" documentary. Return To Glory® resources (book, DVD, music project and 4-CD audio book) can be ordered online. 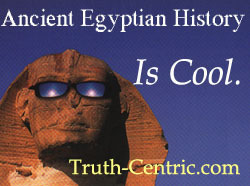 We also invite you to view one of the most comprehensive Ancient Egyptian Photo Gallery on the Internet by clicking on button (to the left) -- over 230 photos and counting. Check out the brand new series of Black History Postcards. Inspirational Jazz Music Compilation CD: With Wayman Tisdale, Jazz Crusaders (Wayne and Randy Henderson), Ronnie Laws (Laws Family), Phillip Ingram, Ciaphus Semenya, Lamont O'Neil, Freddy Cole, Joe Lovano, Bobby Lyle, a previously unreleased Duke Ellington song and more.... Order online or go to your local book/music store to obtain a copy. A large percentage of the purchase price goes to The Freeman Institute® Foundation. were showcased at the United Nations "Transatlantic Slave Trade" exhibit. © Copyright, 2003-NOW Return To Glory®, All rights reserved. Nothing on this site may be used without written permission. 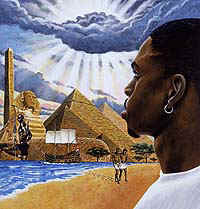 "Return to Glory - Don Griffin - Joel Freeman -- Black history - jazz -- ancient Egypt - slavery -racism - Africa - cultural diversity - Tut - pyramids"